Some of the kids that live on my street during one of our English lessons. Home is where your heart is. It seems simple enough, doesn’t it? There’s no place like home. But when you live a nomadic lifestyle, traveling to a new place every year or two, it can be hard to have a sense of what, where or which is home. I recently went back to the States for three months to spend time with my mom at the end of her life, and with my family after she passed. Despite this being a very difficult time for obvious reasons, I found it additionally painful to leave behind my ‘home’ in Peru and temporarily move back into my parent’s house. My handsome husband, chicken-eating dog and dream house were all back in Cajamarca and I was in Concord, NH feeling grief-stricken AND homesick. This didn’t make sense. I was with my family, in the house I grew up in and always go back to. But as mom’s cancer advanced into her brain and ultimately ended her life, I realized that for the past few years everything I had considered home, the place where I felt anchored, had been defined by my mom. My father, siblings, extended family and my sense of self all seemed to be a direct result of my mom. Without her, I felt like Concord could never be home. 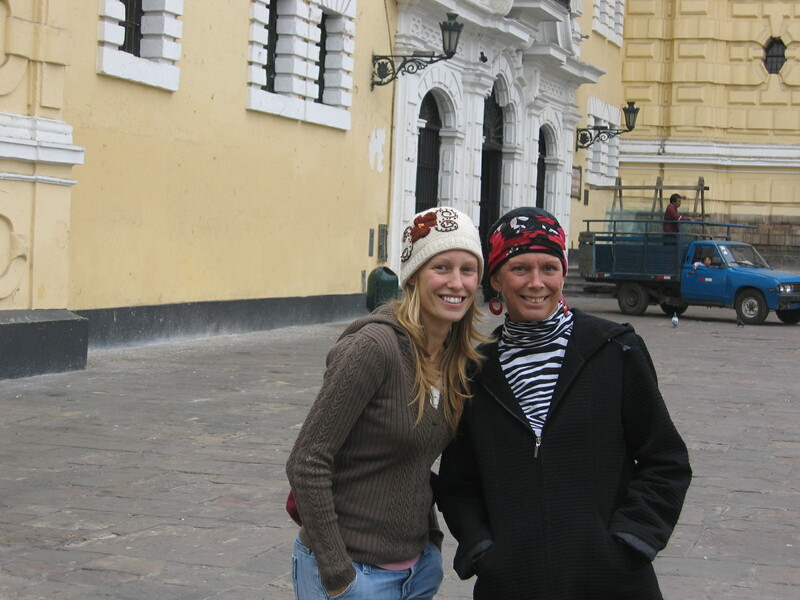 Mom and I in Lima during her first visit to Peru. Five years ago, when Mom was diagnosed with stage four metastatic breast cancer she was told that at best, she had 12-18 months left to live. At the time, I was finishing up grad school with an internship in Colorado and about to start a highly sought after position as an occupational therapist at a clinic in Steamboat Springs. When I learned of mom’s cancer and bleak prognosis, I abandoned the job and moved back to Concord. I eventually found work and an apartment in nearby Vermont, but the thought of loosing my mom was too much to handle and I spent much of that year silently battling depression and anxiety. Mom, on the other hand, was visibly upset for about two weeks then decided that if her time was limited, she might as well have a good time! She continued to enjoy her life taking advantage of every opportunity that came her way. In the Spring, I decided to spend the money I had saved up from my first year of work as a therapist to take mom on a vacation to Florida. I thought we could both use a get-away. “But Mom,” I replied, trying to swallow the lump in my throat “I want to be close to you in case…” I trailed off. Surrounded by amazing friends and family and the Making Strides Against Breast Cancer walk in Concord. Two months later, I accepted a position as a travel OT and since then have lived in Colorado, New Mexico, Seattle and then Peru. Mom visited me in most of these locations. She even got Rosetta Stone to learn basic Spanish and made two trips to Peru! We would chat on the phone or Skype every morning as we drank our coffee then e-mail throughout the day. I made frequent trips home and prioritized spending time with Mom above all else. Upon arriving home in August my world began to deteriorate as I heard doctors use phrases like “palliative care” and “symptom management”. I’ve worked in healthcare and know the meaning of these words all too well. I cleaned the house, organized things and ran errands. Anything to have some semblance of normal as I fell apart inside. I didn’t feel like myself and home no longer felt like home. If “home is where the heart is” and your heart is broken, I guess it’s easy to feel lost. Fortunately, there is something about Concord, NH that I had been neglecting to appreciate since mom had been diagnosed. From the minute I got back I was surrounded by a warm blanket of support from my enormous circle of family and friends. They cooked for my family, took me out for coffee, and spent hours at the hospital, not only to see mom, but to support my dad, sister, brother and I. They sat with me, grieved with me, walked with me, drank with me and listened to me without judgement. When mom died, dear friends and family put their own grief aside to help plan the memorial service which more than 450 people from the Concord community attended. 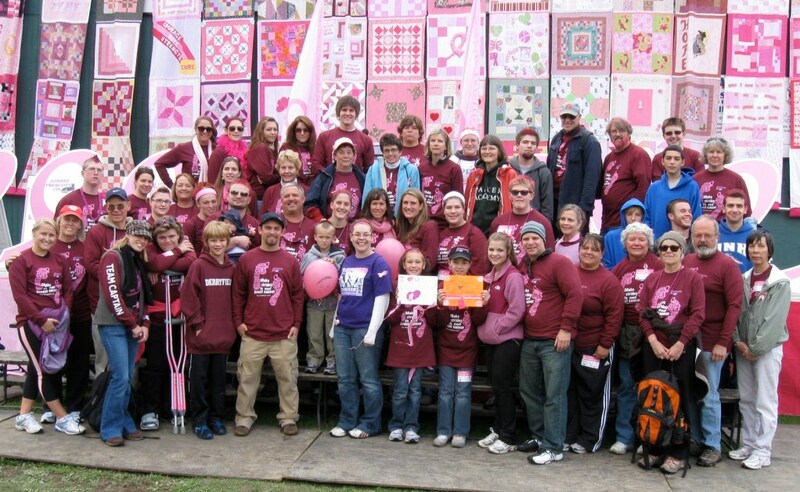 I stayed for a month after the service to be close to my family and friends and to participate in the Making Strides Against Breast Cancer fundraiser that is so important to my family. During my last week in Concord, I struggled the most. Home, although not the same as when mom was there, is a place when I am surrounded by family, friendship, support and love. It was a comfort I did not feel ready to leave behind. I am lucky enough to have an awesome husband who knew it would be hard. Charlie met me in NH, took me on a mini-vacation to Colorado (another home of mine) and traveled back to Peru with me. 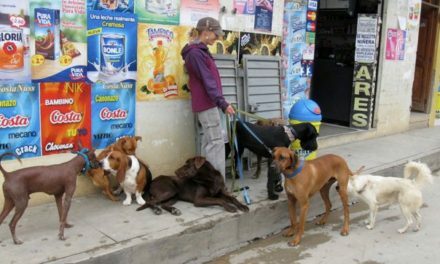 I returned to Cajamarca feeling exhausted, overwhelmed and…surprised! 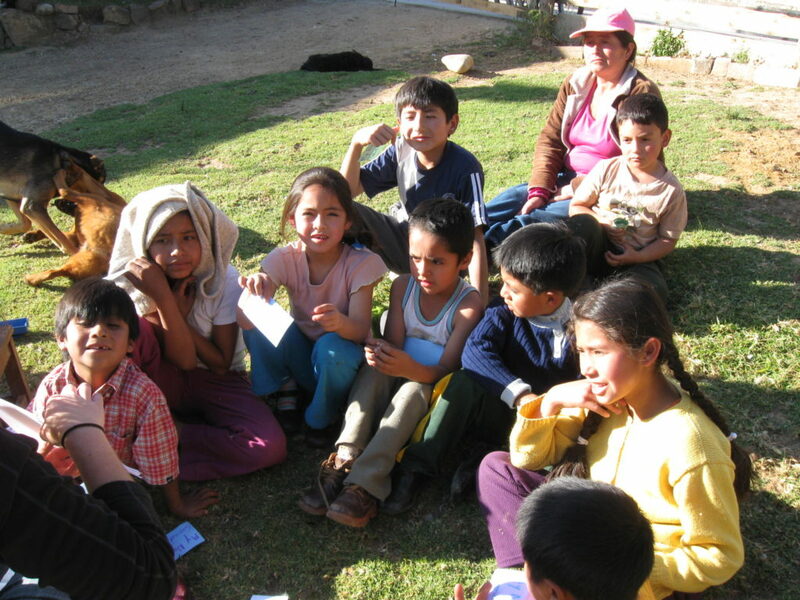 As the taxi neared my house, I saw the children from my neighborhood, my little English students waiting for me. I got out of the vehicle and was surrounded by another blanket. The kids drilled me with questions. They were eager to know where I’d been and why for so long. 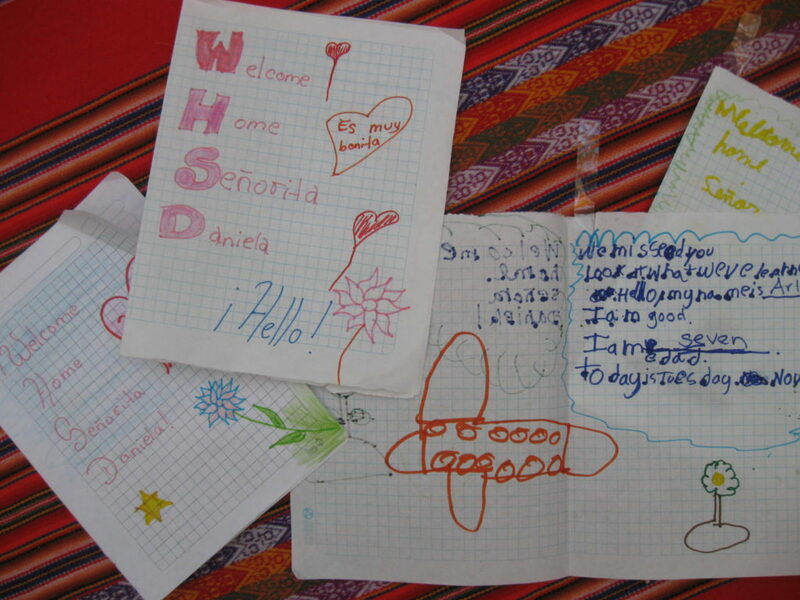 Each child handed me a card they had made…in English! I sat down with the kids and read the cards out loud. Every one varied on the inside with expressions such as “I am 10 years old” and “Today is Tuesday” or my favorite “You are pretty”. But on the outside each had the same words written on it: “Welcome Home”. The morning after my first sleep in Cajamarca, Charlie left early for work at the mine. I got up, made my coffee and stared at my laptop wondering how I would start my mornings without my daily Skype with Mom. But I didn’t have too long to wonder before it was time to grab my chicken-eating dog and join my cheerful friend Amy for a walk. On my way to meet her, I was hugged and kissed by each neighbor I passed along the way welcoming me back…home. If home is where your heart is, I guess I’m lucky enough to have two. After all, there’s no place like home. Wonderful. Thank you for sharing with us. Glad you are back and surrounded by so much love! Wow, Danielle, I’m so glad to have read this. Thank you. THinking of you Danielle. So sorry to hear about your mom. You are an amazing writer! There is so much growth from these hard steps in life and you wrote about it very sweetly and with clarity. May you continue to feel that blanket of support and love. Your mom gave you an amazing gift of compassion and caring and I am lucky to have experienced it in your presence. Danielle, this is such a beautiful story. It’s sad, but beautiful. Your mom must have been an amazing lady. Kathy Perkins, my stepdaughter, has known and worked with your family for several years. I have followed your Mom’s story through her. As a result I have heard her speak of you and your great adventures. She is here in Baltimore with us now and has just shown me your blog.She was in tears reading it and I empathized after reading your story. Good luck to you I am sponsoring a Teach for America teacher here in Baltimore and know how young children can touch your heart with the purity of their love. You are lucky for that. Good thing you have such a big heart since you have so many homes. 😉 Really glad to have you back in your Peru home. Un abrazo fuerte mi amiga!! Danielle. You are such a talented lady in so many ways. Thank you for sharing your stories. Danielle I don’t think you spoke enough about me 🙂 I am glad you are doing well in Peru but I miss you a lot here in NH! Come back soon! it’s wonderful. Thank you for sharing with us. Danielle, Beautifully written, thanks for sharing. Daielle, you are such a wonderful daughter. I know your mother went in peace knowing how well she raised you. 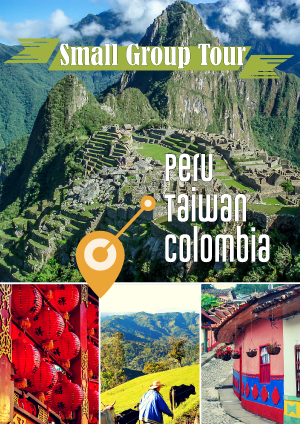 Continue to enjoy (and share with us) your adventres in Peru. So touching …………………….. lots of feelings, no words. I am so very glad to hear that your homecoming was so warm and uplifting. Your life is very rich there with the kids that adore you and your plans for the Liz Parker School of Life and Language! Tell Charlie hello from me and thank him for being such a wonderful husband. Oh, and keep on writing. I will be there to witness when you win your first Pulitzer, so you might start thinking about a book. Beautifully written. Loved the story and will be thinking of you when I’m home this week with the fam. Lots of love to you, Charlie and that Chicken-eating pup! Thanks for sharing what’s happening with you. I was moved to tears. It sounds like you’re finding your purpose in life. So proud of you! Thanks for all the kind words. And sorry to make so many people cry. In the end, I hope the piece to be uplifting. Charlie and I had a very nice Thanksgiving with some American friends and look forward to a mellow Christmas in Cajamarca. I finally got time to read your “returning home”. I loved it and it was so touching and heartfelt. Your Mom was an amazing woman and has passed her wonderful mind and resilience on to you. I hope when you are back in NH for a visit, we can meet for lunch again. I will continue reading your blog and all the fascinating things you write in such a unique way. The little children’s cards were so amazing…you obviously have touched their hearts as well. Such a beautiful post, both in the portrayal of your relationship with your mum and your description of home. Thanks for sharing.